The Poisoned Chocolates Case by Anthony Berkeley was first published in 1929 but I read the recent British Library Crime Classics reprint. It has an introduction by Martin Edwards. The book begins at a gathering of the Crime Circle, a club for crime fiction writers, and Chief Inspector Moresby of Scotland Yard has gone there to ask the writers for their help. The Scotland Yard detectives are stumped over a case of murder by poisoning and Moresby hopes that the writers might be able to give them some new ideas as to who the culprit might be. This of course involves each of the writers in turn explaining how they think the murder was committed and by whom. They all come up with different ideas of course, but which one is correct? This isn’t my favourite style of writing as it can become a bit tedious at times with the constant repetition of facts in the case. I found myself being more interested in who the fictional detectives were based on in reality. 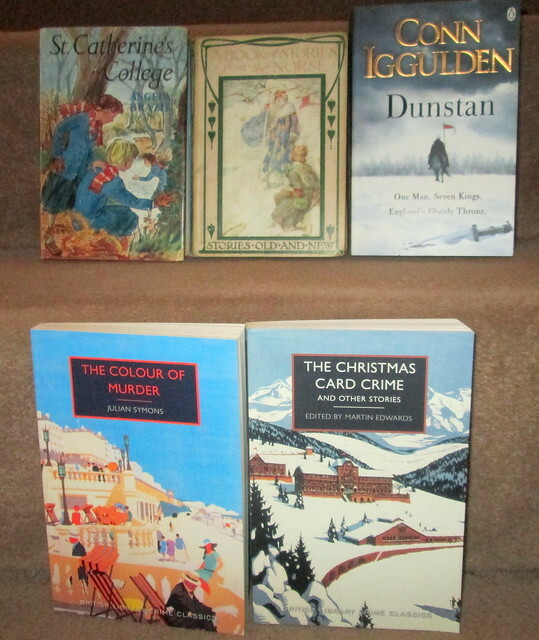 I think that Dorothy L. Sayers was very easy to spot, but I’m not so sure about the other two female writers. In 1979 the writer Christianna Brand wrote yet another solution to this murder puzzle and that chapter is included in this book, and Martin Edwards has the last word with his epilogue. 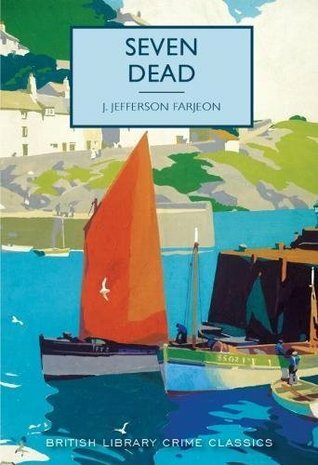 Seven Dead by J. Jefferson Farjeon was first published in 1939 but I read a British Library Crime Classics reprint with a rather attractive cover of a harbour and yachts. 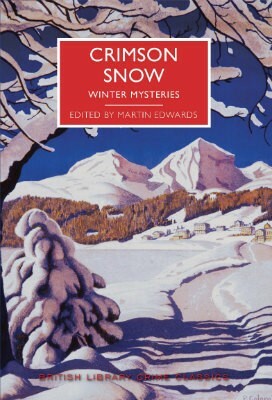 The book begins with Ted Lyte a nervous first time burglar breaking into a remote house by the coast. It seems that the house is uninhabited so he decides to take a look around, hoping to find easily portable silver. One of the rooms is locked, presumably it has something worth stealing inside it, but when he gains entrance he gets the shock of his life. In a panic Ted rushes out of the house but realises that someone is chasing after him. Shedding silver spoons as he goes Ted runs straight into a policeman and ends up being taken to the local police station, he’s a jibbering wreck. Thomas Hazeldean was the pursuer and he had just come off his yacht, but it’s not long before he’s on it again and sailing for Boulogne where he hopes to get to the bottom of the mystery. I had some problems with this one because although it’s not long at all before the crime takes place the whole thing seemed a bit too disjointed to me and unlikely. Farjeon tried to introduce witty dialogue between the police but it really didn’t work. It’s a bit of a locked room mystery, a bit missing person, a bit of vengeance, a bit of romance. In fact it’s just a bit too bitty for my liking. I could just be nit-picking though. Death of an Airman by Christopher St John Sprigg was first published in 1934 but I read the British Library Crime Classics reprint. In fact due to circumstances beyond my control I read this book from cover to cover all in one sitting, it took me about five hours and it made my wait bearable, in fact I really enjoyed this one. Edwin Marriott is an Australian bishop who is on holiday in England. As his diocese in Australia is massive he has decided that he’ll have to learn to fly so that he can visit his flock. He has chosen take lessons at Baston Aero Club which has quite a mixture of flying instructors including a World War 1 flying ace. It’s evident from early on that there are tensions at the flying school and it’s not long before there’s a death. Is it just an accident, murder or suicide? The bishop helps to get to the bottom of it all aided by Inspector Bray of Scotland Yard. I was kept guessing all along and had no idea what was going on, the plot is really convoluted and it’s just such a shame that the author had such a short career as his life was cut short when he was killed fighting in the Spanish Civil War in 1937. His real name was Christopher Caudwell. 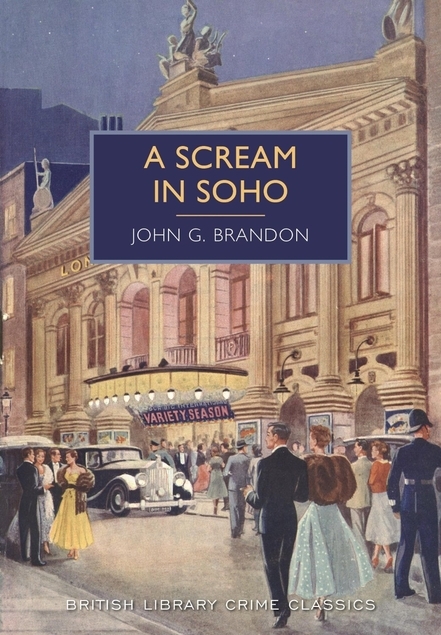 A Scream in Soho by John G. Brandon was first published in 1940 but my copy is a British Library Crime Classics reprint. It’s the first book that I’ve read by this author. I got the impression that this book was written with the author’s tongue very much in his cheek. At times it’s just a bit daft and unlikely, but still entertaining. Detective Inspector McCarthy is quite a departure from the norm as he’s a Soho lad and had a very rough upbringing, that stands him in good stead though as he knows the types of thugs that live in the area and the sorts of things that they get up to. It’s London’s Soho in wartime, so it’s dark and grim and there are a lot of Italian gangsters about and supposed Austrian refugees aren’t at all what they seem. There’s a murder early on – plenty of evidence but no body! That exclamation mark of mine (I’m quite partial to them at times) is used by me as usual in a cheery and light-hearted fashion. I had to laugh when I read a Goodreads ‘review’ of this book by someone who was outraged by it, mainly because one of the chapter titles has an exclamation mark and the book is apparently homophobic, transgenderist, ableist (what is that? Prejudice against disabilities?) and a whole lot of other ‘ists’ and ‘ics’. Yet again I’m left wondering why people bother to read older books which aren’t likely to be as politically correct as most books are today. I suspect they’re looking for something to be outraged about! 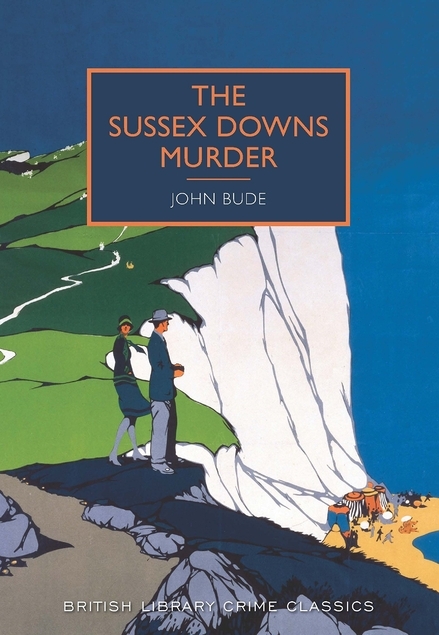 John G. Brandon might not be one of the big hitters of crime fiction, but he did have a good sense of humour, and that led to this being an entertaining read. 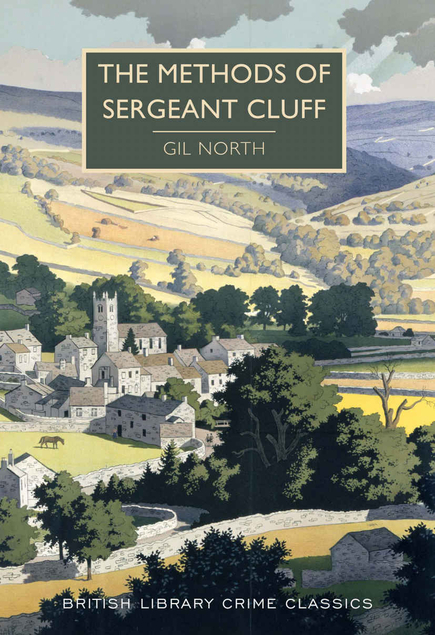 The Methods of Sergeant Cluff by Gil North was first published in 1961 but my copy is a British Library Crime Classics re-print. It has an introduction by Martin Edwards. This is the first book I’ve read by Gil North, I can’t say I’m wild about it, I think I’ll probably give it a three on Goodreads. 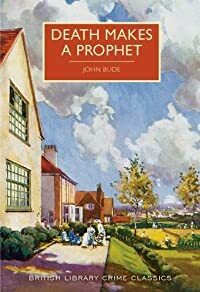 It has occurred to me though that quite possibly the author wrote this book as part of the successful anti death penalty campaign that was going on in the early 1960s. It was a time when there had been several miscarriages of justice and the British juries became disinclined to bring in a guilty verdict for murder, in case they got it wrong. The setting is a small town on the edge of the Yorkshire moors, it’s a wet night and a young woman’s body is found face down on a cobbled street. Jane Trundle had been an assistant in a chemist’s shop. There’s only one CID man in the division, Sergeant Cluff, a typical rough no nonsense North of England man, independent and stubborn. He’s a bit of a loner and his colleagues seem to resent his previous successes. The whole town seems to think that the culprit is a young man who has held a torch for the victim for ages, his horror of the whole situation just makes matters worse, but Cluff is determined to investigate properly. The trouble with this one is that Cluff seems like such a stereotype detective, along the lines of Morse and many other such mavericks, but maybe he didn’t seem such a cliche in the early 1960s. 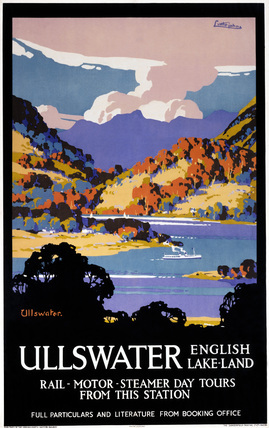 I love the front cover though, it has been taken from a British Rail Yorkshire Dales travel poster. I love that style.